She is María Úbeda, our #AlumniOfTheMonth - March recognized by her classmates of the MA in Arts and Cultural Management (English version 2015-2016) for her perseverance, love for culture and for her amazing personality. The next month you could be the one selected, but for now, lets get to know a bit more about María. 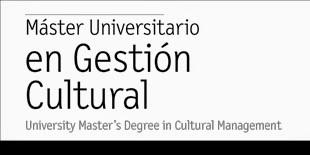 Why did you choose to do the Master in Cultural Management in this University? I have always been interested in cultural management, so after completing the Degree in Fine Arts I decided to look for a Master in culture management. I was fortunate enough to be able to make two exchanges and experience different educational systems, but, above all, what most influenced me during this time abroad was the interculturality and the opportunity to study with students from all over the world. Thus, I looked for a program of cultural management that could be studied in English and therefore had this added value that of course enriches the classes and the different points of view of the topics. What do you consider that was the most important aspect of the MA? Beside that I had classmates from all over the world, I would say it was also the possibility of having professors who are professionals in the field and their point of view is much more real and updated. The numerous visits to cultural facilities show different management methods that complement the quality of teaching. However, the best thing of this master was the human capital. I met incredible people, with common interests and a lot of desire to carry out projects together. Without any doubt, they are the best of the master's degree. The quality of the teaching staff is indisputable, but I will agree with many of my colleagues, highlighting Mohammed Elrazzazz, professor of 'Tools for Managing Culture'. His passion for teaching and motivating students are insurmountable, as well his human quality. 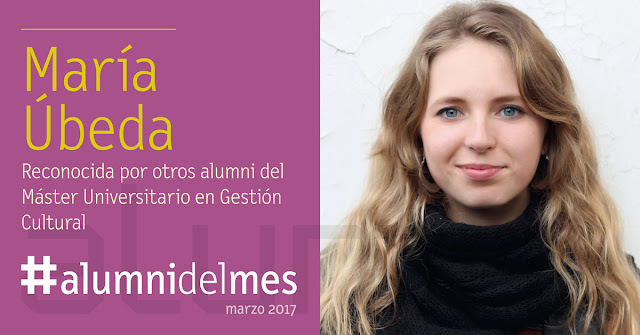 Finally, I want to highlight Inés Martínez Ribas, professor of Cultural Communication. Her solid professional career and her ability to connect with the students allowed us to learn the complexity of communication and its importance in each and every one of the projects we carry out. During the master's degree, I had the opportunity to do two internship periods. In all sincerity, it is quite complicated to find remunerated practices in Barcelona and having little experience makes it difficult, but speaking Spanish and Catalan would help you to find a unpaid practice, closer to your expectations. My first practices were in Print Workers Barcelona, a small workshop of serigraphy where I had the opportunity to play different roles. It was a very good initial experience to put into practice the knowledge acquired during the master's degree. After completing these practices, I joined the team of the Museu d'Art Contemporani de Barcelona (MACBA) in its Collection Department, in which I still continue to collaborating temporarily until next April. It is possible to say that in both experiences the results have been very positive, I have learned a lot from both of them from them and they have helped me to build my network of contacts, besides to grow professionally and personally. For six months, I have been working part-time at the same institution as part of the Department of Education in the role of educator with a salary now. What is your work actually? Right now, I combine my work at the Museum with my work at the Ana Mas Projects art gallery, where I am working mainly as communicator, even though I support many different roles played at the same time. Honestly, the working context in the cultural world is quite complicated, so, first of all, this field should be your passion and you shoul be patient, persevering and consider the option of create your own projects. Although I'm starting my professional career right now, passion, perseverance are what drives me. Taking into account the general precariousness of the cultural sector, I plan to continue to looking for opportunities in the city of Barcelona, but above all, I want to connect with other professionals to carry out initiatives that grant the culture the place so important that it deserves in the society. Are you part of any network or do you follow a group of Cultural Management in social networks?